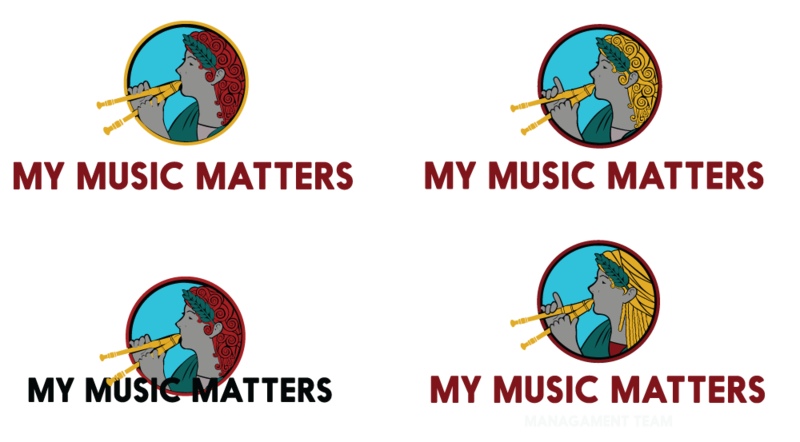 My Music Matters Management Triad (MMM-MT) is a management agency for music and magic artist. As described by MMM-MT: "Muses were goddesses of song, music and dance; also root for English word, MUSIC! Greek mythology, Muse Euterpe (Eὐτέρπη) gave musicians&artists inspiration." This is a perfect starting point for the logo design, and Euterpe is now proudly reflected in the logo.